Thymes Lavender Cologne is both peaceful and pure. With notes of lavender, rosewood, clary sage and violet leaf it instantly calm your senses with a spritz of fresh, herbal fragrance. 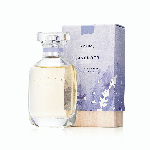 Thymes best-selling Lavender Eau de Parfum helps you take on your day with boundless calm and relaxation.